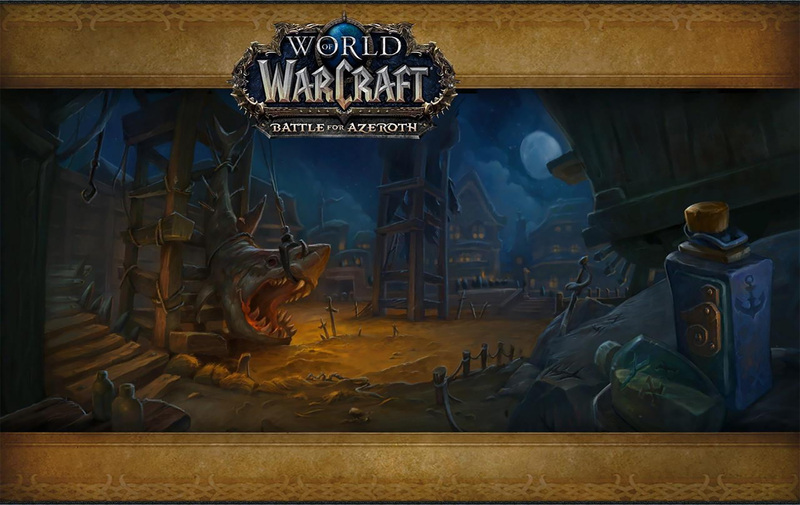 In der Nacht von gestern auf heute haben die für die fortlaufende Entwicklung von neuen Inhalten für World of Warcraft zuständigen Entwickler zur Überraschung vieler Spieler den brandneuen Build 26476 auf den mittlerweile bereits seit einigen Monaten aktiv laufenden Alphaserver von Battle for Azeroth aufgespielt, der selbstverständlich auch wieder eine Reihe von interessanten Neuerungen für dieses Addon mit sich brachte. Zu den in diesem Update enthaltenen Neuerungen gehören unter anderem die in der vergangenen Nacht von Game Designer Muffinus vorgestellten Anpassungen an den Inselexpeditionen, die Möglichkeit zum Spielen von Dunkeleisenzwergen und Mag’har, Anpassungen an einigen Volksfähigkeiten und ein neues Modell für Grommash. Genauere Informationen zu Build 26476 und den Auswirkungen dieses Updates findet ihr wie üblich in der folgenden Übersicht. Dieser Build beinhaltete mehrere Anpassungen an den Inselexpeditionen. Die Tester der Alpha dürfen nun die Dunkeleisenzwerge und die Mag’har als spielbare Rassen verwenden. Es gibt ein neues Modell für Grommash, welches diesen Charakter als einen sehr alten Orc zeigt. Dieses Modell ist vermutlich für das Startgebiet oder die Freischaltung der Mag’har bestimmt. Das Reittier “Teldrassil Hippogryph” scheint eine durch das Pre-Event freischaltbare Belohnung für die Allianz zu sein. Viele der Fraktionen aus BfA benutzen jetzt eigene Währungen. Die Volksfähigkeiten “Every Man for Himself ” und “Arcane Torrent” wurden überarbeitet. 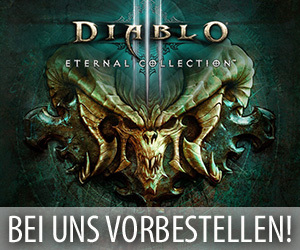 Die Tester dürfen jetzt endlich Addons verwenden. Der folgende Ladebildschirm ist für eine neue PvP-Arena bestimmt. Die Dunkeleisenzwerge und die Mag’har erhalten eigene Hintergürnde für die Charaktererstellung. Der Build beinhaltete ungepanzerte Katzenformen für die Druiden aus Zandalar und Kul Tiras: Diese Modelle sind vermutlich für NPCs bestimmt. Wraith Walk Sidestep into the Shadowlands, removing all root effects and increasing your movement speed by 70%. for 3 sec. Any action will cancel the effect. While active, your movement speed cannot be reduced below 170%. Lasts 3 sec. Any action will cancel the effect. 3 sec cast (Channeled). 3 sec cast (Channeled). Defile Defile the targeted ground, dealing [*100.9% of Attack Power*] Shadowfrost damage to all enemies over 10 sec. Every 1 sec, if any enemies are standing in the Defile, it grows in size and increases your Mastery by 1 0, stacking up to 10 times. While you remain within your Defile, your Clawing Shadows will hit all enemies near the target. Unholy Death Knight – Level 100 Talent. 1 Runes. 30 yd range. Instant. Rapid Decomposition Your Blood Plague and Death and Decay deals deal damage 15% more often. Blood Death Knight – Level 57 Talent. Rune Strike Strike the target for [*40% of Attack Power*] Physical damage [*60% of Attack Power*] Physical damage. Cooldown reduced by 1 sec for every Rune you spend. Generates 1 Rune. Requires Melee Weapon. 2 charges. Blood Death Knight – Level 56 Talent. Melee range. Instant. 45 sec recharge. 2 charges. 60 sec recharge. 2 charges. Rune Tap Reduces all damage taken by 40% for 3 30% for 4 sec. 2 charges. Blood Death Knight – Level 58 Talent. 1 Runes. Instant. 25 sec recharge. 2 charges. Marrowrend Smash the target, dealing [*37.56% of Attack Power*] Physical damage and generating 3 charges of Bone Shield. [ability_deathknight_boneshield] Bone Shield Surrounds you with a barrier of whirling bones, increasing Armor by 60% 40% of your Strength, and your Haste by 10%. Each melee attack against you consumes a charge. Lasts 30 sec or until all charges are consumed. Requires Melee Weapon. Death Knight – Blood Spec. 2 Runes. Melee range. Instant. Festering Strike Deals [*101.09% of Attack Power*] Physical damage and infects the target with 2 to 4 3 to 3 Festering Wounds. [spell_yorsahj_bloodboil_purpleoil] Festering Wound A pustulent lesion that will burst on death or when damaged by Scourge Strike, dealing [*17.36% of Attack Power*] Shadow damage and generating 3 Runic Power. Requires Two-Handed Melee Weapon. Death Knight – Unholy Spec. 2 Runes. Melee range. Instant. Fel Barrage Unleash a torrent of Fel energy over 3 sec, inflicting [*405.6% [*286% of Attack Power*] Chaos damage to all enemies within 8 yds. Havoc Demon Hunter – Level 102 Talent. 3 sec cast (Channeled). Soul Barrier Shield yourself for 12 sec, absorbing [*600% [*1% of Attack Power * Percent Health*] damage. Consumes all Soul Fragments within 25 yds to add [*120% of Attack Power * Percent Health*] to the shield per fragment. Vengeance Demon Hunter – Level 110 Talent. Instant. Darkness Summons darkness around you in an 8 yd radius, granting friendly targets a 20% 0% chance to avoid all damage from an attack. Lasts 8 sec. 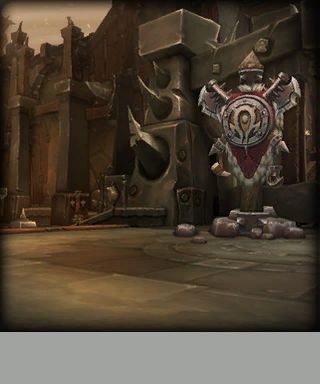 Demon Hunter – Havoc Spec. Instant. Demon’s Bite Quickly attack for [*45.28% of Attack Power*] Physical damage. Generates 20 to 40 25 to 35 Fury. Requires Melee Weapon. Demon Hunter – Havoc Spec. Melee range. Instant. Demon Spikes Surge with fel power, increasing your Armor by 140% 100% of your Agility, and your Parry chance by 15%, for 6 sec. 2 charges. Demon Hunter – Vengeance Spec. Instant. 20 sec recharge. 2 charges. Mastery: Fel Blood Increases the Armor bonus of Demon Spikes by an additional [*350% [*250% of Spell Power*]% of your Agility. Also increases your attack power by 0.0%. Demon Hunter – Vengeance Spec. Clearcasting Your healing over time from Lifebloom has a 4% chance to cause a Clearcasting state, making your next 3 Regrowths Regrowth cost no mana. 100 yd range. Instant. Regrowth 16% 14% of Base Mana. Sunfire (Balance) A quick beam of solar light burns the enemy for [*22.5% of Spell Power*] Nature damage and then an additional [*67.5% of Spell Power*] Nature damage over 12 sec to the primary target and all enemies within 5 yards. 8 yards. Sunfire (Restoration) A quick beam of solar light burns the enemy for [*22.5% of Spell Power*] Nature damage and then an additional [*67.5% of Spell Power*] Nature damage over 12 sec to the primary target and all enemies within 5 yards. 8 yards. Feral Frenzy (New) Unleash a Feral Frenzy, clawing your target 5 times for [*25% of Attack Power*] Physical damage and an additional [*150% of Attack Power*] Bleed damage over 6 sec. Awards 5 combo points. Requires Cat Form. Feral Druid – Level 100 Talent. 25 Energy. Melee range. Instant. Fury of Elune Calls down a beam of pure celestial energy at the target location, dealing [*88.4% that follows the target enemy for 8 sec, dealing [*60% of Spell Power*] Astral damage every 1 sec until your Astral Power is exhausted. While Fury of Elune is active, you may recast it for no cost to direct the beam to move to a new location to all nearby enemies every sec. Balance Druid – Level 100 Talent. 6 Lunar Power, plus 12 per sec. 40 yd range. Instant. 80 Lunar Power. 40 yd range. Instant. New Moon (New) Deals [*117% of Spell Power*] Arcane damage to the target and empowers New Moon to become Half Moon. Generates 10 Astral Power. 3 charges. Can’t be cast in Cat Form, Tree of Life Form, Travel Form, Bear Form, Flight Form. Balance Druid – Level 90 Talent. 40 yd range. 1 sec cast. 30 sec recharge. 3 charges. Photosynthesis (New) While your Lifebloom is on yourself, your Rejuvenations heal 20% faster. While your Lifebloom is on an ally, your periodic heals on them have a 5% chance to cause it to bloom. Restoration Druid – Level 100 Talent. Starlord Lunar and Solar Empowerments also reduce the cast time of their affected spells by 20% 15%. Balance Druid – Level 15 Talent. Stellar Drift Increases Starfall’s radius by 30%, Starfall damage by 50% 20%, and allows you to cast while moving while within Starfall’s radius area. Balance Druid – Level 100 Talent. Stonebark Reduces the cooldown of Ironbark by 30 15 sec, and it increases healing from your heal over time effects by 20%. Restoration Druid – Level 90 Talent. Typhoon Strikes Blasts targets within 15 yards in front of you with a violent Typhoon, knocking them back and dazing them for 6 sec. Usable in all shapeshift forms. Druid – Level 60 Talent. 15 yd range. Instant. 30 sec cooldown. Balance Druid Decreases damage/healing by 15%: Echoing Stars, Full Moon, Fury of Elune, Half Moon, Lunar Strike, Moonfire, New Moon, Power of Goldrinn, Shooting Stars, Solar Wrath, Starfall, Starsurge, Stellar Flare, Sunfire Decreases periodic damage/healing by 15%: Echoing Stars, Full Moon, Fury of Elune, Half Moon, Lunar Strike, Moonfire, New Moon, Power of Goldrinn, Shooting Stars, Solar Wrath, Starfall, Starsurge, Stellar Flare, Sunfire Increases damage/healing by 42% 31%: Regrowth Increases periodic damage/healing by 42%: Regrowth Druid – Balance Spec. 31%: Regrowth Druid – Balance Spec. Mastery: Starlight Increases Starfall and Starsurge damage, and the effect of Lunar, Solar, and Stellar Empowerments Increases Starsurge, Starfall, and Fury of Elune damage by [*225% of Spell Power*]%. Increases the effects of Lunar Empowerment, Solar Empowerment, and Stellar Empowerment by an additional [*225% of Spell Power*]%. Druid – Balance Spec. Sunfire Sunfire now applies its damage over time effect to all enemies within 5 8 yards. Druid – Balance & Restoration Spec. Feral Druid Increases damage/healing by 29%: Ashamane’s Bite, Ashamane’s Frenzy, Berserk, Brutal Slash, Feral Frenzy, Ferocious Bite, Incarnation: King of the Jungle, Maim, Moonfire, Rake, Rip, Shadow Thrash, Shred, Swipe, Thrash Increases periodic damage/healing by 29%: Ashamane’s Bite, Ashamane’s Frenzy, Berserk, Brutal Slash, Feral Frenzy, Ferocious Bite, Incarnation: King of the Jungle, Maim, Moonfire, Rake, Rip, Shadow Thrash, Shred, Swipe, Thrash Increases damage/healing by 42% 31%: Regrowth Increases periodic damage/healing by 42%: Regrowth Druid – Feral Spec. 31%: Regrowth Druid – Feral Spec. Rake Rake the target for [*18.23% [*18.22% of Attack Power*] Bleed damage and an additional [*77.8% of Attack Power*] Bleed damage over 15 sec. Reduces the target’s movement speed by 20% for 12 sec. While stealthed, Rake will also stun the target for 4 sec, and deal 100% increased damage. Awards 1 combo points. Requires Cat Form. Druid – Feral Spec. 35 Energy. Melee range. Instant. Tiger’s Fury Tiger’s Fury generates an additional 40 energy. Druid – Feral Spec. 30 energy. Druid – Feral Spec. Tiger’s Fury Instantly restores 20 Energy, and increases the damage of all your attacks by 15% for their full duration. Lasts 8 10 sec. Druid – Feral Spec. Instant. Guardian Druid Increases damage/healing by 4%: Brambles, Lunar Beam, Mangle, Maul, Moonfire, Pulverize, Thrash Increases periodic damage/healing by 4%: Brambles, Lunar Beam, Mangle, Maul, Moonfire, Pulverize, Thrash Increases damage/healing by 42% 31%: Regrowth Increases periodic damage/healing by 42% 31%: Regrowth Decreases damage/healing by 46%: Moonfire Druid – Guardian Spec. Ironfur Increases armor by 110% 70% of your Agility for 7 sec. Multiple uses of this ability may overlap. Requires Bear Form. Can’t be cast in Flight Form. Druid – Guardian Spec. 45 Rage. Instant. Omen of Clarity Your healing over time from Lifebloom has a 4% chance to cause a Clearcasting state, making your next 3 Regrowths Regrowth cost no mana. Druid – Restoration Spec. Calling the Shots Casting Aimed Casting Arcane Shot reduces the cooldown of Trueshot by 6.0 3.0 sec. Marksmanship Hunter – Level 100 Talent. Careful Aim Aimed Shot has a 20% chance to deal 200% 30% chance to deal 100% bonus damage to targets who are above 80% health or below 20% health. Marksmanship Hunter – Level 30 Talent. Chakrams Throw a pair of chakrams at your target, slicing all enemies in the chakrams’ path for [*105.4% [*80% of Attack Power*] Physical damage. The chakrams will return to you, damaging enemies again. Your primary target takes 100% increased damage. Survival Hunter – Level 100 Talent. 30 Focus. 40 yd range. Instant. Dire Beast Summons a powerful wild beast to attack your target for 8 sec. Generates 20 Focus over 8 sec. 2 charges. Beast Mastery Hunter – Level 15 Talent. 40 yd range. Instant. 12 sec recharge. 2 charges. 35 Focus. 40 yd range. Instant. Hydra’s Bite Serpent Sting fires arrows at 2 additional enemies near your target, and its damage over time is increased by 30% 10%. Survival Hunter – Level 30 Talent. Serpent Sting Name changed from “Serrated Shot” to “Serpent Sting”. Fire a shot that buries deep into poisons your target, causing them to take [*10% of Attack Power*] Bleed Nature damage instantly and an additional [*40% of Attack Power*] Bleed Nature damage over 12 sec. Requires Ranged Weapon. Marksmanship Hunter – Level 15 Talent. 10 Focus. 40 yd range. Instant. Stomp When your Dire Beasts charge in they will stomp the ground, dealing [*1.2% of Attack Power + 55% of Attack Power* damage;] Physical damage to all nearby enemies. Beast Mastery Hunter – Level 90 Talent. Volley Your auto-shots have a chance to cause a volley of arrows to rain down around the target, dealing (1% of weapon damage [*75% of Attack Power*) Physical damage to each enemy within 8 yards. Marksmanship Hunter – Level 30 Talent. Wildfire Infusion Lace your Wildfire Bomb with extra reagents, randomly giving it one of the following properties enhancements each time you throw it: Shrapnel Bomb: Shrapnel pierces the targets, causing Mongoose Bite and Butchery to apply a bleed for 9 sec that stacks up to 3 times. Pheromone Bomb: Kill Command has a 100% chance to reset against targets coated with Pheromones. Volatile Bomb: Reacts violently with poison, causing an extra explosion against enemies suffering from your Serpent Sting and refreshes your Serpent Stings. Survival Hunter – Level 100 Talent. Barbed Shot Name changed from “Dire Frenzy” to “Barbed Shot”. Fire a shot that tears through your enemy, causing them to bleed for [*10% [*40% of Attack Power*] damage over 8 sec, sending your pet into a frenzy, increasing their attack speed by 30%. Stacks stacking up to 3 times. Generates 20 Focus over 8 sec. Requires Ranged Weapon. 2 charges. Hunter – Beast Mastery Spec. 40 yd range. Instant. 12 sec recharge. 2 charges. Beast Mastery Hunter Increases damage/healing by 6%: A Murder of Crows, Barrage, Butchery, Chakrams, Chimaera Shot, Cobra Shot, Explosive Shot, Flanking Strike, Fury of the Eagle, Kill Command, Mongoose Bite, Multi-Shot, Piercing Shot, Serrated Shot Serpent Sting, Stampede, Steel Trap, Stomp, Surge of the Stormgod, Volley Increases periodic damage/healing by 6%: A Murder of Crows, Barrage, Butchery, Chakrams, Chimaera Shot, Cobra Shot, Explosive Shot, Flanking Strike, Fury of the Eagle, Kill Command, Mongoose Bite, Multi-Shot, Piercing Shot, Serrated Shot Serpent Sting, Stampede, Steel Trap, Stomp, Surge of the Stormgod, Volley Decreases damage/healing by 45: A Murder of Crows Increases damage/healing by 100%: Barrage Hunter – Beast Mastery Spec. Hunter – Beast Mastery Spec. Wild Call Your auto shot critical strikes have a 20% chance to reset the cooldown of Dire Beast. Hunter – Beast Mastery Spec. Frenzy. Hunter – Beast Mastery Spec. Spirit Mend The Spirit Beast heals the current friendly target for [*1 + 189.1% [*189.1% of Ranged Attack Power*] plus an additional [*1 + 126% [*126% of Ranged Attack Power*] over 10 sec. Can be cast in Spirit of Redemption. Exotic Ability. 5 Focus. 25 yd range. Instant. Survival Hunter Increases damage/healing by 20%: A Murder of Crows, Barrage, Butchery, Chakrams, Chimaera Shot, Eagle’s Bite, Echoes of Ohn’ara, Explosive Shot, Flanking Strike, Fury of the Eagle, Kill Command, Mongoose Bite, Piercing Shot, Raptor Strike, Serpent Sting, Serrated Shot, Stampede, Steel Trap, Stomp, Volley, Wildfire Bomb Increases periodic damage/healing by 20%: A Murder of Crows, Barrage, Butchery, Chakrams, Chimaera Shot, Eagle’s Bite, Echoes of Ohn’ara, Explosive Shot, Flanking Strike, Fury of the Eagle, Kill Command, Mongoose Bite, Piercing Shot, Raptor Strike, Serpent Sting, Serrated Shot, Stampede, Steel Trap, Stomp, Volley, Wildfire Bomb Hunter – Survival Spec. Hunter – Survival Spec. Searing Touch Scorch deals 200% 150% increased damage and is a guaranteed Critical Strike when the target is below 30% health. Fire Mage – Level 15 Talent. Temporal Flux Name changed from “Temporal Flux [NYI]” to “Temporal Flux”. Arcane Barrage Arcane Barrage hits 1 additional targets within [*80% of Spell Power*] yds per Arcane Charge for [*80% of Spell Power*]% damage. Mage – Arcane Spec. 40% damage. Mage – Arcane Spec. Arcane Barrage Launches bolts of arcane energy at the enemy target, causing [*80% of Spell Power*] Arcane damage. For each Arcane Charge, deals 30% additional damage and hits 0 additional nearby targets. for 40% of its damage. Consumes all Arcane Charges. Mage – Arcane Spec. 40 yd range. Instant. 3 sec cooldown. Vivify Brewmaster, Windwalker: Causes a surge of invigorating mists, healing the target for [*100% of Spell Attack Power*]. Mistweaver: Causes a surge of invigorating mists, healing the target for [*100% of Attack Power*] and all allies with your Renewing Mist active for [*60% of Spell Power*]. Monk – Mistweaver Spec. 3.2% of Base Mana [*45% of Spell Power*]. 3.2% of Base Mana / 30 Energy / 30 Energy. 40 yd range. 1.5 sec cast. Chi Torpedo Torpedoes you forward a long distance and increases your movement speed by 30% for 10 sec, stacking up to 2 times. 2 charges. Windwalker Monk – Level 75 Monk – Level 30 Talent. Instant. 20 sec recharge. 2 charges. Diffuse Magic Reduces magic damage you take by [*60 + 25% of Spell Power*]% for 6 sec, and transfers all currently active harmful magical effects on you back to their original caster if possible. Windwalker Monk – Level 75 Talent. Instant. Monk – Level 30 Talent. Instant. Essence Well (New) For every 6 sec Essence Font spends off cooldown, your next Essence Font may be channeled for 1 additional second. The duration of Essence Font’s heal over time is increased by 4 sec. Mistweaver Monk – Level 100 Talent. 100 yd range. Fist of the White Tiger Strike with the technique of the White Tiger, dealing [*175.5% of Attack Power*] Physical damage. Generates 3 Chi. Windwalker Monk – Level 60 45 Talent. 40 Energy. Melee range. Instant. High Tolerance Stagger delays an additional 10% of incoming Stagger is 10% more effective at delaying damage. You gain up to 15% Haste based on your current level of Stagger. Brewmaster Monk – Level 100 Talent. Inner Strength Each Chi you spend reduces damage taken by 2% for 5 sec sec, stacking up to 5 times. Windwalker Monk – Level 75 Talent. 100 yd range. Lifecycles Enveloping Mist reduces the mana cost of your next Vivify by 20%, and Vivify reduces the mana cost of your next Enveloping Mist by 20%. Mistweaver Monk – Level 45 Talent. Mana Tea Reduces the mana cost of your spells by 50% for 12 sec. Mistweaver Monk – Level 100 Talent. Instant. 45 Talent. Instant. Mist Wrap Increases Enveloping Mist’s duration by 1 sec and its healing bonus by 10%. You may now channel Soothing Mist while moving. Mistweaver Monk – Level 45 Talent. Mistweaver Monk – Level 15 Talent. Mystic Vitality Stagger is 40% more effective against magical attacks. Brewmaster Monk – Level 75 Talent. 30 Talent. Power Strikes Every 15 sec, your next Tiger Palm will generate 1 additional Chi and deal 200% additional damage. Windwalker Monk – Level 45 Talent. 100 Talent. Rising Mist (New) Rising Sun Kick heals all allies with your Renewing Mist, Enveloping Mist, or Essence Font for [*20% of Spell Power*], and extends those effects by 2 sec. Mistweaver Monk – Level 100 Talent. Summon Black Ox Statue Summons a Black Ox Statue at the target location for 15 min, pulsing threat to all enemies within 30 yards. You may cast Provoke on the statue to taunt all enemies near the statue. Brewmaster Monk – Level 60 Talent. 40 yd range. Instant. Tiger’s Lust Increases a friendly target’s movement speed by 70% for 6 sec and removes all roots and snares. Monk – Level 30 75 Talent. 20 yd range. Instant. Brewmaster Monk Increases damage/healing by 9%: Blackout Kick, Blackout Strike, Breath of Fire, Chi Burst, Chi Wave, Crackling Jade Lightning, Crosswinds, Eye of the Tiger, Fist of the White Tiger, Fists of Fury, Flying Serpent Kick, Keg Smash, Rushing Jade Wind, Special Delivery, Spinning Crane Kick, Strike of the Windlord, Tiger Palm, Whirling Dragon Punch, Zen Pulse Increases periodic damage/healing by 9%: Blackout Kick, Blackout Strike, Breath of Fire, Chi Burst, Chi Wave, Crackling Jade Lightning, Crosswinds, Eye of the Tiger, Fist of the White Tiger, Fists of Fury, Flying Serpent Kick, Keg Smash, Rushing Jade Wind, Special Delivery, Spinning Crane Kick, Strike of the Windlord, Tiger Palm, Whirling Dragon Punch, Zen Pulse Decreases damage/healing by 44%: Rushing Jade Wind Decreases damage/healing by 10%: Chi Burst, Chi Wave, Song of Chi-Ji, Tiger Palm Decreases periodic damage/healing by 10%: Eye of the Tiger Monk – Brewmaster Spec. Fortifying Brew Turns your skin to stone for 15 sec, increasing your current and maximum health by health%, increasing the damage you delay with Stagger by an additional effectiveness of Stagger by 10%, and reducing all damage you take by damage%. Monk – Brewmaster Spec. Instant. 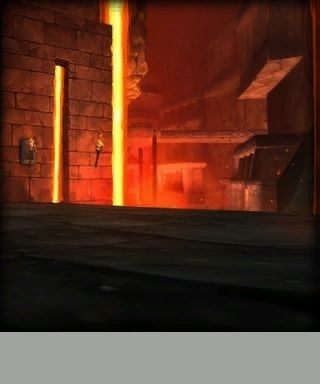 Ironskin Brew Increases the damage you delay with Stagger by an additional 30% Stagger is 75% more effective for 6 sec. Shares charges with Purifying Brew. 3 charges. Monk – Brewmaster Spec. Instant. 16 sec recharge. 3 charges. Stagger You shrug off attacks, delaying 50% of Physical damage a portion of Physical damage based on your Agility, instead taking it over 10 sec. Affects magical attacks at 20% effectiveness. Monk – Brewmaster Spec. Vivify Name changed from “Effuse” to “Vivify”. Effuse’s healing is increased by 60%. 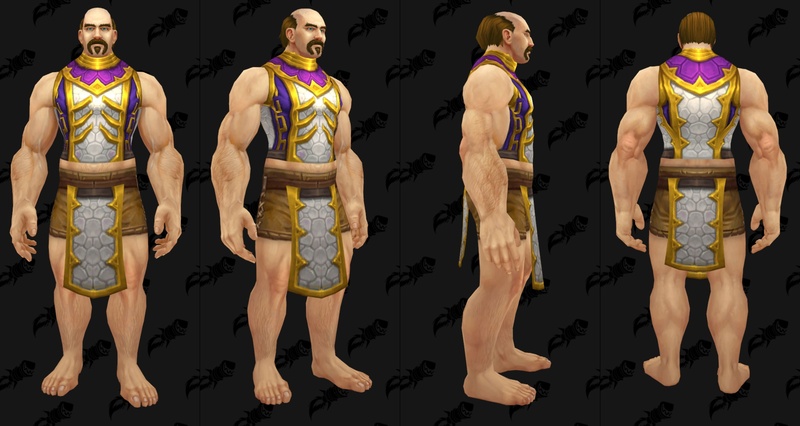 Monk – Brewmaster & Windwalker Spec. Vivify healing is increased by 25%. 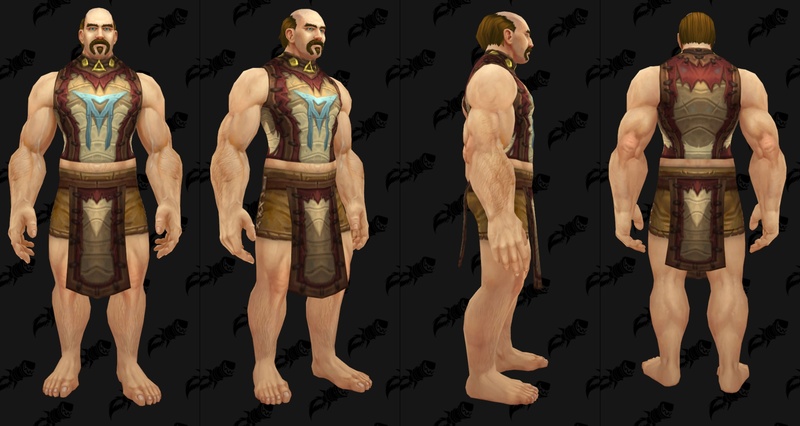 Monk – Brewmaster & Windwalker Spec. Essence Font Unleashes a rapid twirl of healing bolts at up to 6 allies within 25 30 yds, every 1 sec for 3 sec. Each bolt heals a target for [*33.75% of Spell Power*], plus an additional [*12% of Spell Power*] over 8 sec. Gust of Mists will heal affected targets twice. Castable while moving. Monk – Mistweaver Spec. 7.2% of Base Mana. 3 sec cast (Channeled). Mistweaver Monk Mistweaver Monk core passive Increases periodic damage/healing by 4%: Celestial Breath, Chi Burst, Chi Wave, Enveloping Mist, Essence Font, Invoke Chi-Ji, the Red Crane, Mastery: Gust of Mists, Refreshing Jade Wind, Renewing Mist, Revival, Sheilun’s Gift, Soothing Mist, The Mists of Sheilun, Thunder Focus Tea, Vivify, Whispers of Shaohao, Zen Pulse Decreases damage/healing by 20%: Rising Sun Kick Increases periodic damage/healing by 400%: Crackling Jade Lightning Monk – Mistweaver Spec. Vivify (New) Vivify heals all allies with your Renewing Mist active for [*45% of Spell Power*]%. Monk – Mistweaver Spec. Windwalker Monk Decreases damage/healing by 20%: Blackout Kick, Breath of Fire, Chi Burst, Chi Wave, Crackling Jade Lightning, Crosswinds, Eye of the Tiger, Fist of the White Tiger, Fists of Fury, Flying Serpent Kick, Rising Sun Kick, Rushing Jade Wind, Special Delivery, Spinning Crane Kick, Strike of the Windlord, Thunderfist, Tiger Palm, Whirling Dragon Punch, Zen Pulse Decreases periodic damage/healing by 21%: Blackout Kick, Breath of Fire, Chi Burst, Chi Wave, Crackling Jade Lightning, Crosswinds, Eye of the Tiger, Fist of the White Tiger, Fists of Fury, Flying Serpent Kick, Rising Sun Kick, Rushing Jade Wind, Special Delivery, Spinning Crane Kick, Strike of the Windlord, Thunderfist, Tiger Palm, Whirling Dragon Punch, Zen Pulse Increases damage/healing by 26%: Blackout Kick, Rising Sun Kick, Tiger Palm Increases damage/healing by 22%: Chi Wave and Rushing Jade Wind Increases periodic damage/healing by 22%: Eye of the Tiger Increases damage/healing by 140%: Spinning Crane Kick Increases damage/healing by 50%: Blackout Kick Monk – Windwalker Spec. Ancient Fury Unleash the fury of ancient kings, causing [*100 + 2.68% [*2.68% of Spell Power*] Holy damage per application of Ancient Power, divided evenly among all targets within 10 yards. Instant. Avenging Wrath Increases the damage, healing, and critical chance of your abilities by 20% for 20 sec. 1 charge. Instant. 2 min recharge. 1 charge. Instant. Judgment (Holy) Judges the target, dealing [*112.5% of Spell Power*] Holy damage, and causing the target to take 30% increased damage from your Crusader Strike and Holy Shock for 15 sec. next Crusader Strike or Holy Shock. Summon Darkforge Ram Name changed from “Darkforge Ram” to “Summon Darkforge Ram”. Summons and dismisses your Darkforge Ram. Account wide. 1.5 sec cast. 1.5 sec cast. Summon Dawnforge Ram Name changed from “Dawnforge Ram” to “Summon Dawnforge Ram”. Summons a Dawnforge Ram, which serves as a mount. Account wide. 1.5 sec cast. Summon. 1.5 sec cast. Aura of Mercy Restores [*7.5% of Spell Power*] health to 3 injured allies within 10 yds every 2 sec. While Aura Mastery is active, heals all allies in the aura and healing is increased by [*100 + 25% of Spell Power*]% 100%. Holy Paladin – Level 60 Talent. Consecration Consecrates the land beneath you, causing totaldmg Holy damage over 6 sec to enemies who enter the area. Generates 1 0 Holy Power. Retribution Paladin – Level 60 Talent. Instant. 20 sec cooldown. Judgment of Light Judgment now applies Judgment of Light to the target, causing the next 40 25 successful attacks against the target to heal the attacker for [*5% of Spell Power*]. Paladin – Level 90 Talent. Seraphim The Light temporarily magnifies your power, increasing your Haste, Critical Strike, Mastery, and Versatility by 1,000 0. Consumes up to 2 charges of Shield of the Righteous, and lasts 8 sec per charge. Protection Paladin – Level 100 Talent. Instant. Wake of Ashes Lash out at your enemies, dealing (1% of weapon damage [*140% of Attack Power*) Radiant damage to all enemies within 12 yd in front of you and reducing their movement speed by 50% for 5 sec. Demon and Undead enemies are also stunned for 5 sec. Generates 5 Holy Power. Retribution Paladin – Level 60 Talent. Instant. Aura Mastery Empowers your chosen aura and increases its radius to [*40 + 2.5% of Spell Power* 40;] yards for 6 sec. Devotion Aura: all affected allies gain [*20 + 25% of Spell Power*]% damage reduction. Aura of Sacrifice: causes 30% of damage to be redirected to you and reduced by 75%. Aura of Mercy: has no target limit and healing increased by [*100 + 25% of Spell Power*]%. Paladin – Holy Spec. Instant. 100%. Paladin – Holy Spec. Instant. Blessing of Sacrifice Places a Blessing on a party or raid member, transferring 30% of damage taken to you for 12 sec, or until transferred damage would cause you to fall below 20% health. 1 charge. Paladin – Holy & Protection Spec. 7% of Base Mana. 40 yd range. Instant. 2.5 min recharge. 1 charge. 2 min recharge. 1 charge. Mastery: Divine Bulwark Increases the Armor bonus of Shield of the Righteous by [*400% [*250% of Spell Power*]% of your Strength, and increases your chance to block melee attacks by 0.0%. Also increases your attack power by 0.0%. Paladin – Protection Spec. Protection Paladin Increases damage/healing by 12%: Avenger’s Shield, Blessed Hammer, Consecration, Crusader Strike, Execution Sentence, Eye for an Eye, Hammer of the Righteous, Hammer of Wrath, Holy Prism, Holy Shield, Holy Shock, Judgment, Justicar’s Vengeance, Light’s Hammer, Retribution Aura, Shield of the Righteous, Wake of Ashes Zeal Increases damage/healing by 53%: Flash of Light Decreases damage/healing by 42%: Judgment Paladin – Protection Spec. Shield of the Righteous Slams enemies in front of you with your shield, causing [*42.5% of Attack Power*] Holy damage, and increasing your Armor by 250% 150% of your Strength for 5 sec. Requires Shields. 3 charges. Paladin – Protection Spec. Melee range. Instant. 20 sec recharge. 3 charges. Retribution Paladin Decreases damage/healing by 5%: Blade of Justice, Blessed Hammer, Consecration, Crusader Strike, Divine Storm, Execution Sentence, Eye for an Eye, Hammer of Wrath, Holy Prism, Holy Shield, Holy Shock, Judgment, Justicar’s Vengeance, Light’s Hammer, Retribution Aura, Wake of Ashes, Zeal Decreases periodic damage/healing by 5%: Blade of Justice, Blessed Hammer, Consecration, Crusader Strike, Divine Storm, Execution Sentence, Eye for an Eye, Hammer of Wrath, Holy Prism, Holy Shield, Holy Shock, Judgment, Justicar’s Vengeance, Light’s Hammer, Retribution Aura, Wake of Ashes Zeal Increases damage/healing by 53%: Flash of Light Increases damage/healing by 300%: Consecration Paladin – Retribution Spec. Shield of Vengeance Creates a barrier of holy light that absorbs 30% of your maximum health in damage for 15 sec. If the barrier When the barrier fades or is fully consumed, all damage absorbed is dealt as Holy damage divided across all enemies within 8 yds. Paladin – Retribution Spec. Instant. Divine Star Throw a Divine Star forward 24 yds, healing allies in its path for [*30% [*40% of Spell Power*] and dealing [*30% [*40% of Spell Power*] Holy damage to enemies. After reaching its destination, the Divine Star returns to you, healing allies and damaging enemies in its path again. 100 yd range. Instant. Halo Creates a ring of Holy energy around you that quickly expands to a 30 yd radius, healing allies for [*87.5% [*110% of Spell Power*] and dealing [*87.5% [*110% of Spell Power*] Holy damage to enemies. 100 yd range. Instant. Binding Heal Heals you, another friendly target, and a third your target, and another friendly target within 20 yards for [*75% of Spell Power*]. Can be cast in Spirit of Redemption. Can’t be cast in Shadowform. Holy Priest – Level 75 Talent. 1.7% of Base Mana. 40 yd range. 1.5 sec cast. Coming Soon! (New) This talent is lost in the void but will be found soon! Shadow Priest – Level 90 Talent. Instant. Divine Star Throw a Divine Star forward 24 yds, healing allies in its path for [*30% [*40% of Spell Power*] and dealing [*30% [*40% of Spell Power*] Holy damage to enemies. After reaching its destination, the Divine Star returns to you, healing allies and damaging enemies in its path again. Can be cast in Spirit of Redemption. Priest – Level 90 Talent. 2% of Base Mana. 30 yd range. Instant. 15 sec cooldown. Halo Creates a ring of Holy energy around you that quickly expands to a 30 yd radius, healing allies for [*87.5% [*110% of Spell Power*] and dealing [*87.5% [*110% of Spell Power*] Holy damage to enemies. Can be cast in Spirit of Redemption. Priest – Level 90 Talent. 2.7% of Base Mana. 30 yd range. 1.5 sec cast. 40 sec cooldown. Purge the Wicked Cleanses the target with fire, causing [*20% [*30% of Spell Power*] Fire damage and an additional [*100% [*165% of Spell Power*] Fire damage over 20 sec. Spreads to an additional nearby enemy when you cast Penance on the target. Can’t be cast in Shadowform. Discipline Priest – Level 90 Talent. 2% 1.8% of Base Mana. 40 yd range. Instant. Shadow Mend Wraps an ally in shadows which heal for [*187.5% [*160% of Spell Power*], but at a price. The ally will take [*9.4% [*8% of Spell Power*] damage every 1 sec, until they have taken [*93.8% [*80% of Spell Power*] total damage from all sources, or leave combat. Priest – Discipline & Shadow Spec. 2.8% of Base Mana. 40 yd range. 1.5 sec cast. Shadow Word: Pain 2.2% 1.8% of Base Mana. Guardian Spirit Calls upon a guardian spirit to watch over the friendly target for 10 sec, increasing healing received by 40% 60% and preventing the target from dying by sacrificing itself. This sacrifice terminates the effect and heals the target for 40% of maximum health. Castable while stunned. Massive damage amounts will kill the target despite this effect. Can be cast in Shadowform, Spirit of Redemption. Priest – Holy Spec. 0.9% of Base Mana. 40 yd range. Instant. Dispersion Disperse into pure shadow energy, reducing all damage you take taken by 60% for 6 sec, but you are unable to attack or cast spells. Clears all movement impairing effects and makes you immune to them while dispersed. Voidform does not drain Insanity Voidform’s Insanity drain is temporarily reduced by 100% while dispersed. Castable while stunned, feared, or silenced. Priest – Shadow Spec. Instant. Glyph of Shadow Alters the appearance of your innate shadowy form to be less transparent. Minor Glyph. Reduces the effects of your Shadowform. Minor Glyph. Shadow Alters the appearance of your innate shadowy form to be less transparent Reduces the effects of your Shadowform. Minor Glyph. 1.5 sec cast. Deadly Poison Poisoned weapons have a chance to deal [*4.91% [*4.5% of Attack Power*] Nature damage to a target already affected by Deadly Poison. 100 yd range. Instant. Deadly Poison Coats your weapons with a Lethal Poison that lasts for 60 min. Each strike has a 30% chance to poison the enemy for [*36 + 34.4% [*37.8% of Attack Power*] Nature damage over 12 sec. Subsequent poison applications will instantly deal [*4.91% [*4.5% of Attack Power*] Nature damage. 100 yd range. Instant. Mutilate Instantly attacks for [*30% [*35% of Attack Power*] Physical damage. Awards 1 combo points. Requires Daggers. Melee range. Instant. Wound Poison Coats a weapon with poison that lasts for 1 hour. Each strike has a 30% chance of poisoning the enemy, which instantly inflicts [*15 + 2.13% [*2.13% of Attack Power*] Nature damage and reduces the effect of healing received for 12 sec. 100 yd range. Instant. Blinding Powder Reduce Reduces the cooldown of Blind by 30 sec and increase increases its range by 15 yds. Outlaw Rogue – Level 75 Talent. Crimson Tempest Finishing move that slashes at all enemies within 10 yards, dealing instant damage and causing victims to bleed for additional damage. Lasts longer per combo point. 1 point : [*10% of Attack Power*] plus [*24% [*9% of Attack Power*] plus [*22% of Attack Power*] over 4 sec 2 points: [*15% of Attack Power*] plus [*36% [*13.5% of Attack Power*] plus [*33% of Attack Power*] over 6 sec 3 points: [*20% of Attack Power*] plus [*48% [*18% of Attack Power*] plus [*44% of Attack Power*] over 8 sec 4 points: [*25% of Attack Power*] plus [*60% [*22.5% of Attack Power*] plus [*55% of Attack Power*] over 10 sec 5 points: [*30% of Attack Power*] plus [*72% [*27% of Attack Power*] plus [*66% of Attack Power*] over 12 sec 6 points: [*35% of Attack Power*] plus [*84% [*31.5% of Attack Power*] plus [*77% of Attack Power*] over 14 sec Requires Melee Weapon. Assassination Rogue – Level 100 Talent. 35 Energy. Instant. Elaborate Planning Your finishing moves grant 10% increased damage done for 5 4 sec. Rogue – Level 15 Talent. Master Poisoner Increases the damage done by your weapon poisons by 30% and their non-damaging effects by 20%. Assassination Rogue – Level 15 Talent. Toxic Blade Stab your enemy with a toxic poisoned blade, dealing [*59% of Attack Power*] Nature damage. The damage of your poisons Your Nature damage done against the target is increased by 30% for 9 sec. Awards 1 combo points. Requires Daggers. Assassination Rogue – Level 90 Talent. 20 Energy. Melee range. Instant. Weaponmaster Name changed from “Swordmaster” to “Weaponmaster”. Deadly Poison Coats your weapons with a Lethal Poison that lasts for 60 min. Each strike has a 30% chance to poison the enemy for [*36 + 34.4% [*37.8% of Attack Power*] Nature damage over 12 sec. Subsequent poison applications will instantly deal [*4.91% [*4.5% of Attack Power*] Nature damage. Requires One-Handed Melee Weapon. Rogue – Assassination Spec. 1.5 sec cast. Envenom Finishing move that drives your poisoned blades in deep, dealing instant Nature damage and increasing your poison application chance by 30%. Damage and duration increased per combo point. 1 point : [*15% [*16% of Attack Power*] damage, 2 sec 2 points: [*30% [*32% of Attack Power*] damage, 3 sec 3 points: [*45% [*48% of Attack Power*] damage, 4 sec 4 points: [*60% [*64% of Attack Power*] damage, 5 sec 5 points: [*75% [*80% of Attack Power*] damage, 6 sec 6 points: [*90% [*96% of Attack Power*] damage, 7 sec Requires One-Handed Melee Weapon. Rogue – Assassination Spec. 35 Energy. Melee range. Instant. Garrote Garrote the enemy, causing [*117% [*108% of Attack Power*] Bleed damage over 18 sec. Silences the target for 3 sec when used from Stealth. Awards 1 combo points. Rogue – Assassination Spec. 45 Energy. Melee range. Instant. Mutilate Attack with both weapons, dealing a total of [*60% of Attack Power* dmg;] Physical damage. Awards 2 combo points. Requires Daggers. Rogue – Assassination Spec. 50 Energy. Melee range. Instant. Rupture Finishing move that tears open the target, dealing Bleed damage over time. Lasts longer per combo point. 1 point : [*55.7% [*50.1% of Attack Power*] over 8 sec 2 points: [*83.5% [*75.2% of Attack Power*] over 12 sec 3 points: [*111.4% [*100.2% of Attack Power*] over 16 sec 4 points: [*139.2% [*125.3% of Attack Power*] over 20 sec 5 points: [*167.1% [*150.4% of Attack Power*] over 24 sec 6 points: [*194.9% [*175.4% of Attack Power*] over 28 sec Requires Melee Weapon. Rogue – Assassination Spec. 25 Energy. Melee range. Instant. Wound Poison Coats your weapons with a Lethal Poison that lasts for 60 min. Each strike has a 30% chance to poison the enemy, which instantly inflicts [*15 + 2.13% [*2.13% of Attack Power*] Nature damage and reduces all healing received for 12 sec. Requires One-Handed Melee Weapon. Rogue – Assassination Spec. 1.5 sec cast. Gouge Gouges the eyes of an enemy target, incapacitating for 4 sec. Damage will interrupt the effect. Must be in front of your target. Awards 1 combo points. Requires Melee Weapon. Rogue – Outlaw Spec. 25 Energy. Melee range. Instant. 15 sec cooldown. Cloudburst Totem Summons a totem at your feet for 15 sec that collects power from all of your healing spells. When the totem expires or dies, the stored power is released, healing all injured allies within 40 yards for 25% of all effective healing done while it was active, divided evenly among targets. Casting this spell a second time recalls the totem and releases the healing. 1 charge. Shaman – Level 90 Talent. 8.6% of Base Mana. Instant. 30 sec recharge. 1 charge. Earth Shield Protects the target with an earthen shield, healing them for [*35% increasing your healing on them by 10% and healing them for [*25% of Spell Power*] when they take damage. 9 charges. This heal can only occur once every few seconds. Earth Shield can only be placed on one target at a time. Restoration Shaman – Level 30 Talent. 10% of Base Mana. 40 yd range. Instant. Elemental Blast Harnesses the raw power of the elements, dealing [*63% of Spell Power*] Elemental damage and increasing your Critical Strike, Haste, or Mastery by 5 0 for 10 sec. Elemental Shaman – Level 15 Talent. 40 yd range. 2 sec cast. Graceful Spirit Reduces the cooldown of Spiritwalker’s Grace by 60 sec and increases your movement speed by 20% while it is active, and increases your movement speed in Ghost Wolf by an additional 10%. Restoration Shaman – Level 75 Talent. Elemental Shaman Elemental Shaman baseline passive Increases damage/healing by 9%: Chain Lightning, Crashing Storm, Earth Shock, Earthen Rage, Earthen Spike, Earthquake, Elemental Blast, Elemental Spirits, Feral Lunge, Flame Shock, Flametongue Attack, Frost Shock, Fulmination, Fury of Air, Hailstorm, Icefury, Lava Burst, Lightning Bolt, Lightning Shield, Seismic Storm, Stormstrike, Stormstrike Off-Hand, Sundering, Thunderstorm, Volcanic Inferno, Windfury Attack, Windstrike, Windstrike Off-Hand Increases periodic damage/healing by 9%: Chain Lightning, Crashing Storm, Earth Shock, Earthen Rage, Earthen Spike, Earthquake, Elemental Blast, Elemental Spirits, Feral Lunge, Flame Shock, Flametongue Attack, Frost Shock, Fulmination, Fury of Air, Hailstorm, Icefury, Lava Burst, Lightning Bolt, Lightning Shield, Seismic Storm, Stormstrike, Stormstrike Off-Hand, Sundering, Thunderstorm, Volcanic Inferno, Windfury Attack, Windstrike, Windstrike Off-Hand Increases damage/healing by 55% 47%: Healing Surge Shaman – Elemental Spec. Healing Surge A quick surge of healing energy that restores [*118.75% [*125% of Spell Power*] of a friendly target’s health. Shaman – Elemental & Restoration Spec. 20% of Base Mana. 40 yd range. 1.5 sec cast. Healing Wave An efficient wave of healing energy that restores [*131.25% [*140% of Spell Power*] of a friendly targetâ€™s health. Shaman – Restoration Spec. 9% of Base Mana. 40 yd range. 2.5 sec cast. Doom Inflicts impending doom upon the target, causing [*250% of Spell Power*] Shadow damage after 30 sec. Limited to 1 target. Demonology Warlock – Level 30 Talent. 1% of Base Mana. 40 yd range. Instant. Summon Infernal Summons an Infernal from the Twisting Nether, impacting for [*60% of Spell Power*] Fire damage and stunning all enemies in the area for 2 sec. The Infernal will serve you for 30 sec, dealing [*25 + 50% [*50% of Spell Power*] damage to all nearby enemies every 2 sec and generating 1 Soul Shard Fragment every 0.5 sec. Warlock – Destruction Spec. 1 Soul Shard. 30 yd range. Instant. 3 min cooldown. Bloodbath For Cause a bloodbath, dealing [*60% of Attack Power*] Physical damage to all enemies in front of you. For the next 10 sec, your melee attacks and abilities cause the target targets to bleed for 40% additional damage over 6 sec. 100 yd range. Instant. Bloodbath For Cause a bloodbath, dealing [*60% of Attack Power*] Physical damage to all enemies in front of you. For the next 10 sec, your melee attacks and abilities cause the target targets to bleed for 40% additional damage over 6 sec. Fury Warrior – Level 90 Talent. Instant. Requires Melee Weapon. Fury Warrior – Level 90 Talent. Melee range. Instant. Rend Wounds the target, causing [*23.21% of Attack Power*] Physical damage instantly and an additional [*81.12% of Attack Power*] Bleed damage over 8 12 sec. Requires Melee Weapon. Arms Warrior – Level 45 Talent. 30 Rage. Melee range. Instant. Defensive Stance A tanking combat stance that increases Stamina by 30% and increases armor by 60% 40% of your Strength. Warrior – Protection Spec.